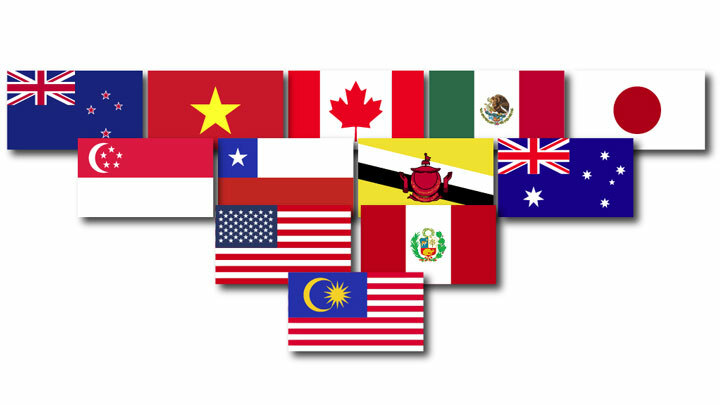 After seven years of (some claim secretive) negotiations, on 05 October 2015 Malaysia together with eleven other countries (Brunei, Chile, New Zealand, Singapore, Australia, Canada, Japan, Mexico, Peru, United States of America and Vietnam) reached a multilateral free trade agreement on various economic policies; known as the Trans-Pacific Partnership Agreement (TPPA). The TPPA covers an expansive scope of policies; from market access for goods, technical barriers to trade, government procurement to financial services. For the purposes of this article, we will zoom in on some of the intellectual property (IP) provisions of the TPPA to highlight the impact they could pose on existing Malaysian IP laws, particularly on trade mark. Chapter 18, Article 18 of the TPPA basically lays out the minimum level of IP protection that a TPPA party must put into place and enforce. In general, Malaysia is already in compliance with most requirements but there is some room for change if we are to accede to the TPPA formally. Article 18.18 provides that no Party shall require a sign to be visually perceptible as a condition of registration. Neither can a Party deny registration of a trade mark solely on the ground that it is composed of a sound or scent. This amounts to a new obligation for a TPPA member to register trade marks that they could previously reject under TRIPS. In Malaysia, Section 3(2)(a) of the Trade Marks Act 1987 (TMA) defines use of a mark to be “use of a printed or other visual representation of the mark”. Such statutory definition would have to change because it is impossible to present or use a scent or sound mark in a visually perceptible manner. We are still in the midst of amending the TMA to legally recognize and allow registration of non-traditional trade marks. Article 18.19 mandates that each Party shall include collective marks and certification marks as trade marks. Whilst Section 56 TMA extensively provides for certification marks, there is no mention of collective marks at all in the local trade mark legislation. Collective mark is important to identify a mark of an organisation, union or cooperative that only its members can use to identify themselves with certain characteristics set by the collective organisation; and surely there is no short of such organisations in Malaysia. The same Article indicates that “A Party is not obligated to treat certification marks as a separate category in its law, provided that those marks are protected.”. Notwithstanding this, the Malaysian Trade Marks Registry (the Registry) should apply some distinction when providing registration details for the different types of marks. The current combined processing of trade marks and certification marks alike, and lack of distinction in the registration certificate issued makes it difficult to tell that registration has been granted to a certification mark rather than an ‘ordinary’ trade mark. Malaysia already recognises well-known trade marks outside their home countries vide certain provisions of the TMA. Section 14(1)(d) for example provides that a mark shall not be registered if it is identical with or so nearly resembles a mark which is well-known in Malaysia for the same goods or services of another proprietor. In determining whether a trade mark is well-known, Article 18.22 stipulates that no Party shall deny relief based solely on the lack of (i) a registration; (ii) inclusion on a list of well-known marks; or (iii) prior recognition of the mark as well-known. Malaysia’s provisions on well-known marks are consistent with this spirit and we are already applying Article 6bis of the Paris Convention mutatis mutandis. However, the TPPA may invite some further review of the many-fold criteria of Regulation 13B (Trade Marks Regulations 2000) because the footnote to Article 18.22 of the TPPA states that when determining whether a mark is well-known, no Party shall require that the reputation of the trademark extend beyond the sector of the public that normally deals with the relevant goods or services. Malaysia adopts the ‘Nice Agreement Concerning the International Classification of Goods and Services for the Purposes of the Registration of Marks’ since 2007. However more than that, we must now pay close attention to Article 18.25 of the TPPA where goods or services may not be considered as being similar to each other on the ground that they are classified in the same class of the Nice Classification. Before citing a prior mark as conflicting, the Registry must examine details of the specification and not merely rely on similarity in the class number. Conversely, goods or services may not be considered as being dissimilar on the ground that they are classified in different classes, and to this end the Registry has diligently practised such cross-class citation. In Malaysia, the use of the word ‘may’ (instead of ‘shall’) in Section 48(1) TMA on recordal of a registered user or licensee has always been interpreted as a non-mandatory. However, such recordal is highly recommended in order to reap the benefits of sub-section (5) and defend against any future cancellation of mark for non-use i.e. the use of a trade mark by the registered user within the limits of his registration shall be deemed to be use by the registered proprietor. Such conditional benefits imposed by the TMA may no longer be possible because Article 18.27 of the TPPA stipulates that no Party shall require recordal of trade mark licences as a condition for use of a trade mark by a licensee to constitute use by the holder in a proceeding that relates to the acquisition, maintenance or enforcement of trade marks. Although an active participant during the negotiations, Malaysia has not yet acceded to the TPPA as an official party but plan to table it before the Parliament in early 2016.